Thank you for your interest in the Sauk Valley Community College theatre program! Our program offers a 2-year Associate of Arts and provides opportunities for you to perform as well as work behind the scenes on several productions throughout each academic year including a fall production, a spring production, and a summer Shakespeare production. After completing the 2-year program, you will have the fundamental experience and requirements to facilitate your transfer to a 4-year program. 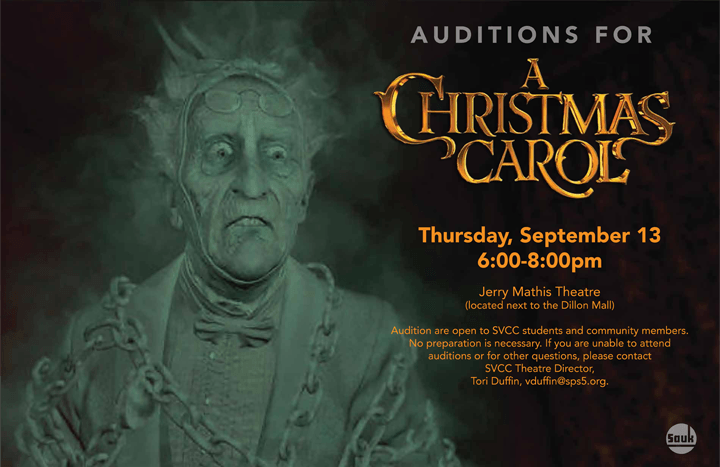 Come join us at SVCC and continue to build your theatre repertoire.